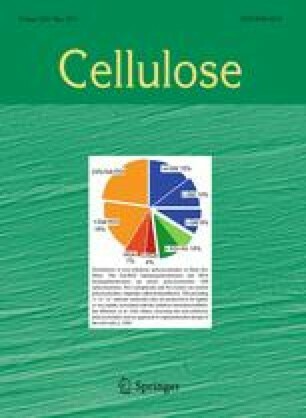 This study investigates the potential of wood wastes, specifically post-consumer fiberboards, as a new source for cellulose nanocrystals (CNC). This underused resource has currently no commercially viable way to recycle it and so the volumes of fiberboard waste are growing rapidly. A sequential chemical fractionation was used to separate the three main constituents of wood, namely cellulose, hemicelluloses and lignin, and the non-wood components present in fiberboards, such as resins and finishes (e.g. varnishes, paints, plastics, laminates, etc.). Most of the non-cellulosic components and non-wood elements were removed by an alkali treatment followed by bleaching, resulting in a cellulosic fraction which is suitable for the further isolation of CNC by an acid hydrolysis step. The intermediate and final products were characterized by chemical composition, microscopic, spectroscopic and X-ray diffraction methods. The CNC obtained from wood waste are totally devoid of traces of contaminants and possess comparable characteristics and quality to those extracted from virgin wood fibers. The results indicate that fiberboard wastes can be used as promising alternative source for nanocelluloses production. The authors are grateful for the financial support from the MATIERES project and the “Région Pays de la Loire”. We thank Emilie Perrin, INRA, for her excellent technical support for the TEM images.